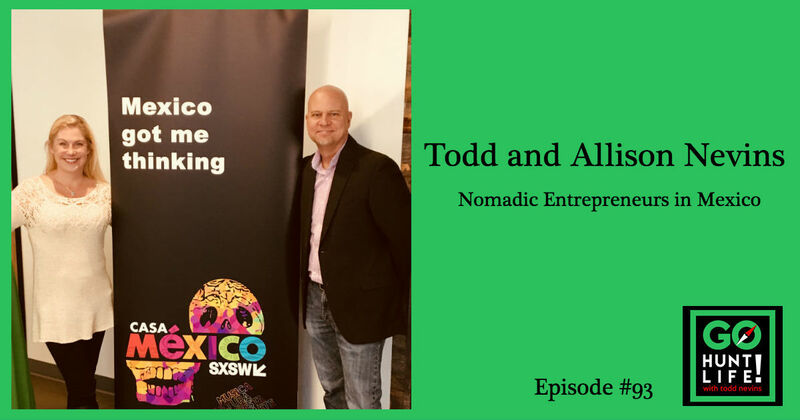 The Digital Nomad Entrepreneurs, Todd and Allison Nevins are moving from Austin TX to Mexico to build their online businesses and explore the vibrant culture and entrepreneurial ecosystem of the land south of the US border. Todd is the Founder and Chief Marketer of CLICKPlacement, an AdWords marketing agency that he started over 10 years ago. Allison is the Founder of TexMex Fun Stuff, an e-commerce business she started in 2016 selling authentic handmade Mexican goods throughout the US. 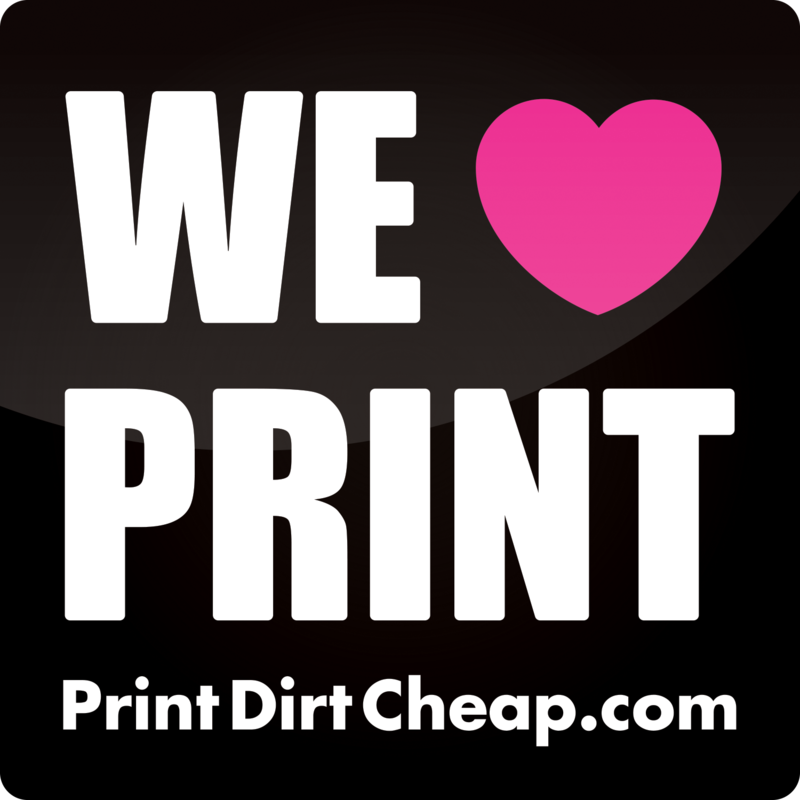 She has grown her business into an Amazon FBA store and the move to Mexico will allow her to explore the country, find new products and build relationships with more artists that wish to tap into the US market with their handmade goods made in Mexico. This move also sets the groundwork for global expansion into Europe and Australia. 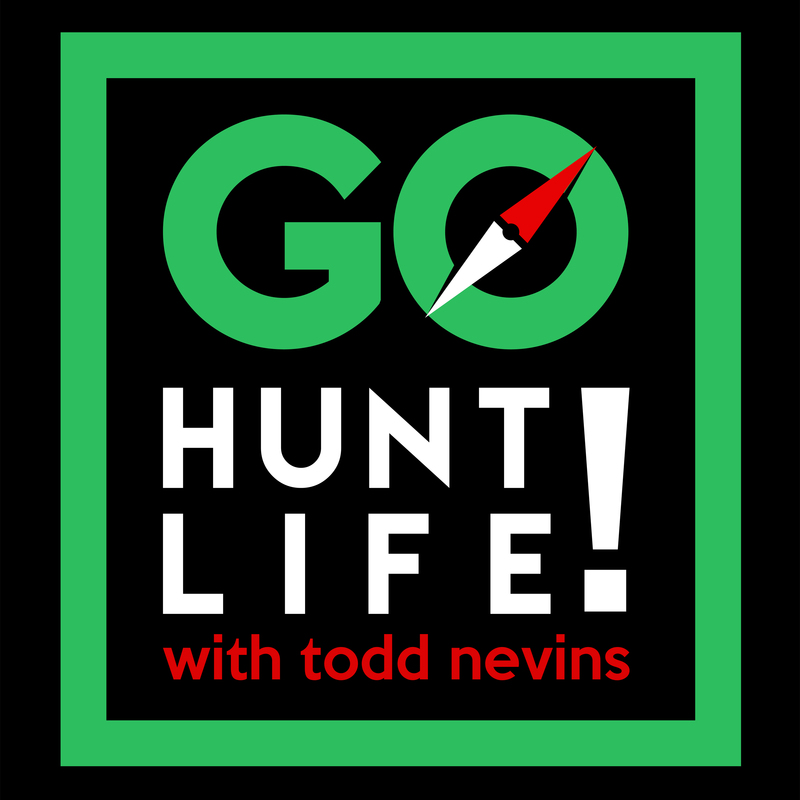 Todd is also the host of this podcast, Go Hunt Life, where he explores stories of people who have pulled the ripcord for a life of freedom, adventure and location independence while growing businesses from anywhere. From World Record Holders and TED Talkers to Marketing Influencers, his guests are making extraordinary changes in their lives to pursue the path less traveled. This conversation between Todd and Allison Nevins takes place just days before they pull the ripcord, pack up the car with their English Bulldog, Deuce and drive south across the border into Mexico. This is part 2 of their conversation from 4 months ago when they discussed their plan to sell everything they own in the US for a life south of the border. To hear their initial plans to move to Mexico, listen to episode #76 with Todd and Allison, From Mexico to Austin, Back to Mexico. 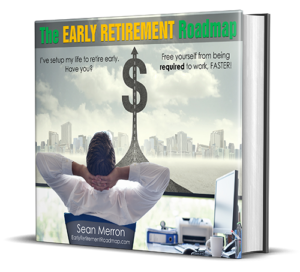 How in just 2 years of living in Austin they have transformed their lives into being digital nomad entrepreneurs. The fears that they have leaving Austin and driving across the border into central Mexico. How will they run their businesses from another country. What is pushing them to leave the comforts of the US for a life in Mexico. Their route from small colonial cities to Mexico City where they plan on working from co-working spaces and diving into the startup scene helping entrepreneurs expand into the US. If you’ve ever dreamed of moving to Mexico for a new life, this is your roadmap. I see you’re heading back to Merida soon. Thought I’d make you aware of our Hacienda and contemporary home, located just out of town. It might make for a different experience then being in the city? If you have interest let me know. Thanks Howard for listening and I’ve been through that pueblo on mountain bikes. Your hacienda looks amazing and we will keep it in mind of we want to escape the city! I loved this episode! The two of you are hilarious. I have blonde hair as well, as a kid going into Mexico I just remember strangers coming up behind me to feel my hair. Your podcast is great. We didn’t have any issues at all w/Allison being blond. It was a relatively uneventful drive which is what we were hoping for.